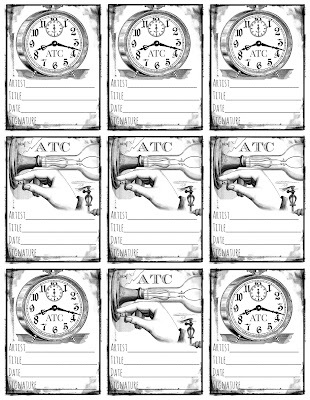 Mark Montano: Join My ATC Swap! Thanks for your interest in participating in my ATC SWAP! We have lots of amazing artists participating so far and I'm going to make this as easy as possible for you. Guidelines below! *Must be 2.5" x 3.5" in size and no thicker than 1/4". Playing cards work very well as a base. You're also welcome to use heavyweight card stock or chipboard cut to size as long as it's heavy. 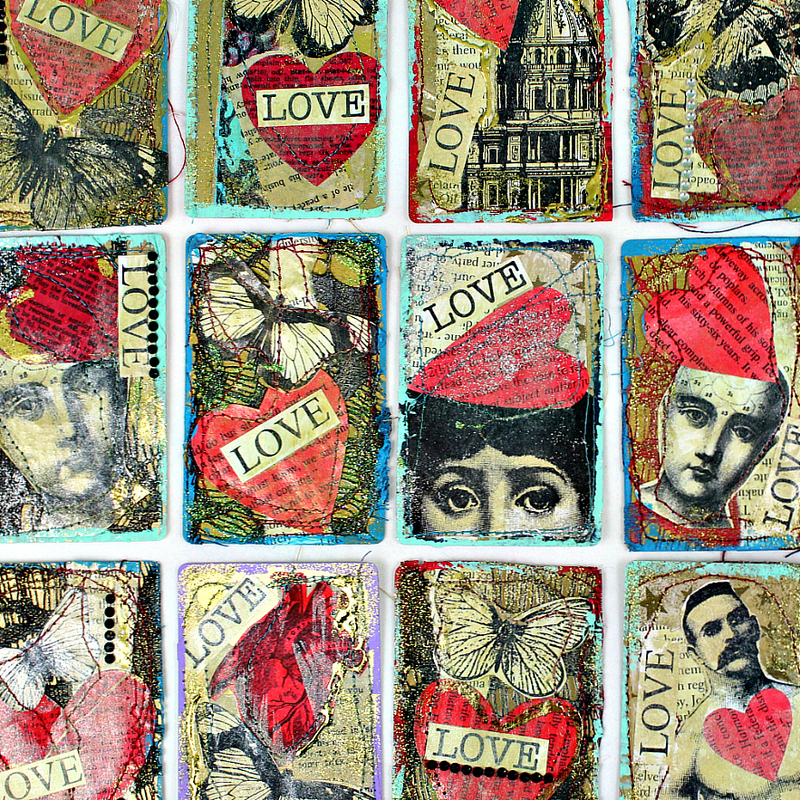 *Entries should use a DecoArt product and be layered with other papers, buttons, embellishments or fabrics. Think layers and texture! If you live out of the country and have no access to DecoArt products you can still join us! *The back of your trading cards should have your name , the title of the work, signature and date. You can include contact information or your social media info if you want to, it's up to you. This is a terrific way to make new friends, so I would do it. I'm including an example of what I'm using on the back of my cards and you're more than welcome to print it out and use this for the back of your cards. *Place your ATCs in a clear baggie with your name clearly written on the baggie. *Write your RETURN ADDRESS on the left corner of this return mailer too! You can do this with the SUPPORT THIS CHANNEL button on the right side of the home page. Thanks so much and I hope you join us! Love ATC swaps! This one looks like a lot of fun and look forward to participating! Wishing you a wonderfully creative day! Looking forward to participating in the swap!!!! Have a sparkling creative day! Yes! Super excited for this! I'll be sending in some Oddlys ATC! I absolutely LOVE Atc's will start them tonight!! think i am going to try this for this year. sounds like fun and will be neat to see what everyone comes up with!! Awesome!! Count me in. So they can be 5 totally different cards? Yes they can, but all with a LOVE theme, whatever that means to you. I'm in! I haven't done a swap in such a long time. I'm so excited to do this one! Im totally going to participate in this swap!!! Cant wait! I'm in! The last one you did was great, so I'm up for another! Does there "have" to be DecoArt products on the cards? Where do you purchase DecoArt products? You can purchase DecoArt products at almost any craft store. If you want to be eligible for the prizes, then you do have to use a DecoArt product. They are sponsoring the event. Finish my cards. 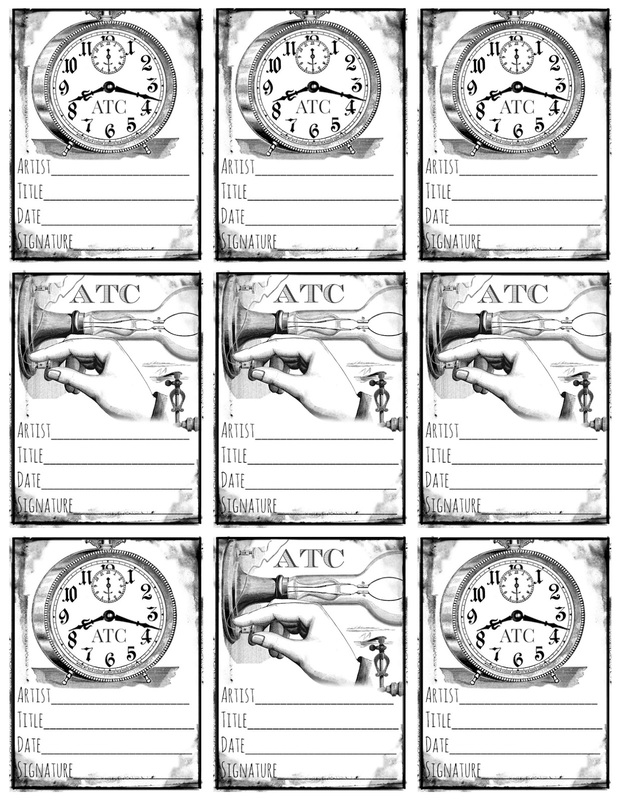 You have engaged me in my first ATC making and swapping. Getting ready to send out! I hope you do! We would love to have you. Ok, I have not really participated in anything like this. So Im gonna try :) I have lots of DeoArt paint. Happy you're joining us Schoen! I also did a high speed recording of their creation. I will send you the link once I upload it. Awesome! Can't wait to see the video! Mine are on their way, thank you for hosting this Mark. Hi Mark, just found your YouTube channel and found this swap--sounds like fun! Hope to get out to my studio soon and start creating some Love themed ATCs for your swap! Thanks for the opportunity! I think I might give this a try. I love your books Mark!!!!! Hi Mark, I would get 5 cards from 5 different people? Can I send 10? You can send 10, but you only get 5 in return. 5 is the limit for this particular swap. I sent in cards but I didn't read the instruction, I just took the address down and sent in a self addressed stamped envelope with my cards. No baggy, no puffy mailer.... I'm so sorry! We'll figure it out......No worries! Glad you joined us! I have my mailer all ready to send Mark! Sending to you from BC Canada! Up on the Alaska Highway. We always have tons of US visitors pass by our home town on the way to Alaska. The highway starts in Canada at Dawson Creek, BC (MILE 0). I'm at about mile 45. We have seen people fulfilling their Alaskan dream. One lady over 60 headed up to Alaska by herself on horseback. Thanks for this swap. This was my introduction to ATC's and I am hooked. I posted my cards on my FB account and my mom even wants me to send one to her. I had a lot of fun doing this project. I commented earlier, but cannot find it. I have already sent my cards in and I am SO excited as this is my first swap too! sent mine today! so excited to see which ones I get in return! this is my first swap also! Just sent mine, didn't see this post until yesterday. Thanks, sounds like fun. This is the first time i've ever done ATCs. We'll do our best to figure it out Schoen! No worries. We are prepared! This is my first time to do a swap, and I love making mine – so excited to participate! I am sending them off first thing tomorrow, so I am crossing my fingers that they get there in time! Is it OK if I just put a crapload of "forever" stamps on a standard sized envelope? Or are bubble mailers preferred? Thanks so much for facilitating this awesome, fun activity! I think I may have my sewing students try their hand at doing something similar! We'll do our best to insure your cards get back to you in good condition. Glad you're participating! Forgot to ask in the comment I just posted - do we need to note which DecoArt products we used? We'll ask you to post about it when you get yours back, OK!